We loved playing with Movi. The games got Littlest out of breath and moving but they also made her think. The way Movi moves is pretty impressive – toy robots have come on quite a bit since I was a child. He can move in a variety of ways and his impressions of animals managed to be extremely convincing for a toy trying to imitate different animals through wheel movements alone! As you can see in the video, he can pivot and spin and go backwards and forwards with ease. Littlest was delighted by him. I also think that the educational element was great. Littlest is definitely improving her counting and listening skills while playing with him – while having great fun. Littlest loved dancing with Movi but, although there were lots of games that involved moving and dancing, the music he plays is quite limited. I think parents will feel like they have to switch him off after a little while because the noise can get a bit annoying and repetitive (if you are not two!) It would be great to hear Movi playing some more sophisticated tunes while playing games like Musical Statues. Finally, if you would like to be in with a chance to win a Teach ‘n Tag Movi please enter the sweepstake via the Rafflecopter below. Terms and conditions apply and can be found in the Rafflecopter. UK residents only. Please note, we were sent this toy for the purposes of this review. All words and opinions are our own. Some links may be affiliate links. My daughter – she would love this! My grandson would love this! He loves anything that makes noise! My daughter Ffion, her birthday is 10 days for Xmas so people keep telling me they’ll buy her clothes! She’d love something fun! perfect for my little Twins. They just started to learn numbers and this would keep them entertained for hours. Thank you. I would love one for my god daughter for Christmas. This looks like fun. My grandson would love it. My daughter would love it… because she is a typical toddler and loves everything noisy and moving. My daughter would love this as it looks like a lot of fun. My 2 year old niece would love to receive this for Christmas. My son Anthony would just love this. I think all my grandchildren would love this, so cool! My little niece and nephew. They love games and have a new baby sister in the house so they could entertain her while they were playing. This would be for my nephew…I think he would love it! id love this for my nephew he loves noisy toys! my little Grandson would love him because he loves anything that makes a noise and moves! My daughter would love a Teach ‘n Tag Movi, she loves being active, wiggling her hips is her favourite move! My nephew would love this because he’s obsessed with robots! My youngest daughter has developmental delay. I think teach n tag movi would be really educational for her. My daughter she loves toys that she will be amazed at what it can do. 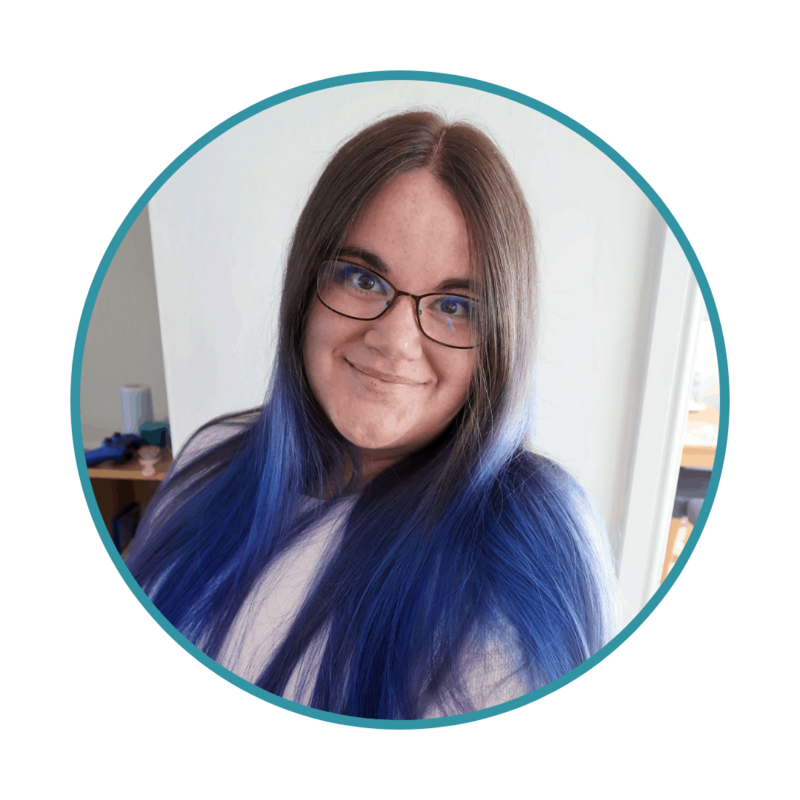 My cousin’s girl – she has energy to burn. Don’t they all? My Nephew would love this, It looks super fun! My nephew. He loves robots. My Godson would love this, he loves figuring out how things work! My nephews would love a Movi for Christmas as they are just getting moving themselves and it looks so much fun! My granddaughter Freya would love this especially all the different animal noises it makes. My little boy would absolutely love this Movi! Because he loves learning and loves interactive toys. My nephew would love this as he loves robots! My niece Ruby would love this toy because she loves interactive toys that make her think and learn. My best friends little girl would love this. My son would love this- he loves dancing and music and since he is autistic its a brilliant way for him to express himself. Our youngest loves anything on wheels and I think daddy and gramps would secretly like to help/play with it too. My children would totally love it! My little granddaughter would love this because she is so fond of moving, dancing and singing too. My son would love one of these as ‘everybody is having one and they are cool’. My little girl would love this because of the music and sounds. My friends little girl would adore this…..she loves to be entertained & entertains us too! My niece would love a Movi for Christmas. My son would love this! He is the little boy laying on the floor of the toys store playing with the Fisher Price toys. He just adores the colours, music and dancing Fisher Price toys. Yes, my Godson. He loves this sort of toy! My daughter would love this as she is so curious and into everything. My niece. She loves having a dance. So I think she would absolutely love a toy that encourages/facilitates it. 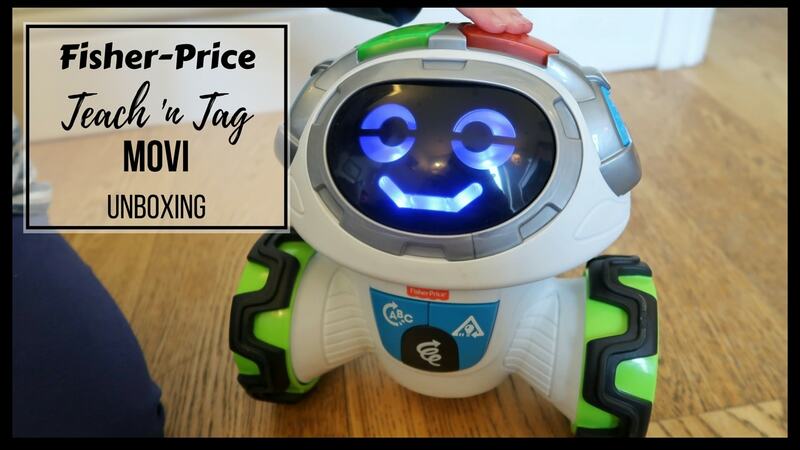 I’d love to win this for my nephew he loves music and robots! This would make the perfect Christmas present for my newest nephew. My son James, he would adore this, i think his sisters would love him too! This would be a lovely gift for my goddaughter. She loves talking to and interacting with her toys. 2 of my sons would love a Movi for Christmas. It would probably go to the older one so he can spend time teaching his younger brother how to play with it. 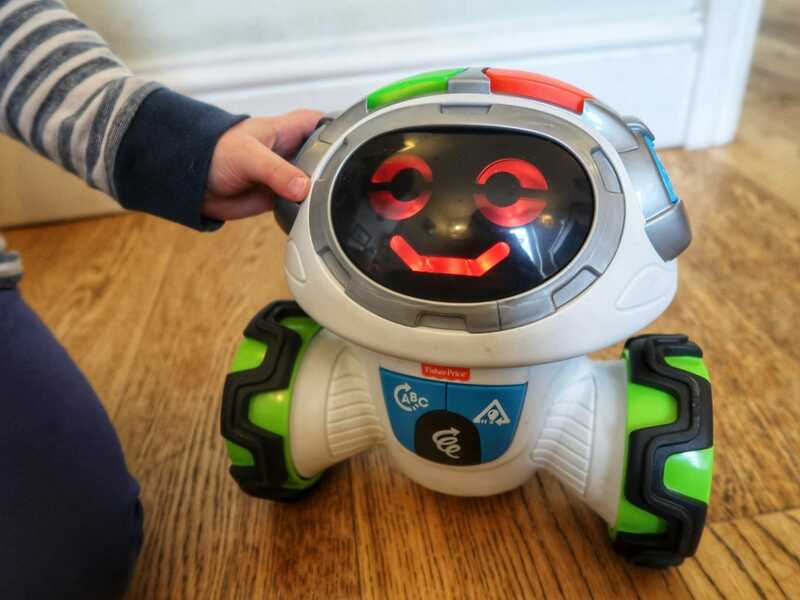 With 2 out of 4 of my children on the spectrum its hard to find toys they want, but I know coding and robots are definitely a firm favourite with one of them. So this would be perfect. Must add this to the list! My grandson would love this! Hours of entertainment! I would give this to my niece for christmas, as she loves toys like this! My grandson would be absolutely thrilled with this amazing little guy! My great-niece Mylah would love this. She’s at the “inbetween” stage because although she’s was 1 in June, she seems a bit too mature for “1 year old” toys we see in the shops, but then of course the other toys seem to be too old. She does like dancing though, so he’d be a great companion. My son and daughter would both love this and take turn. Two of my grandchildren would both love this for Christmas! 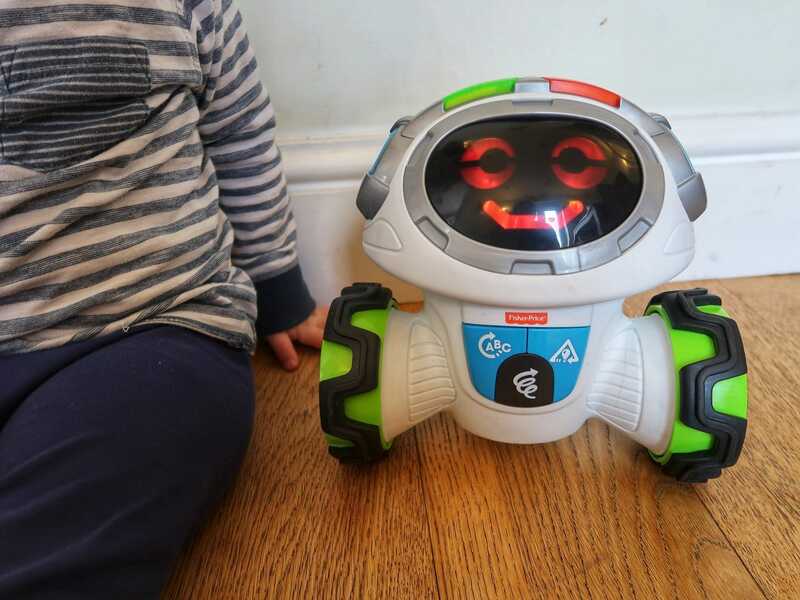 My son – he loves interactive toys! My daughter would love this. She would like the face it moves and makes a noise. For my great niece as she loves to discover new things and music, so this would be fun for her to learn.